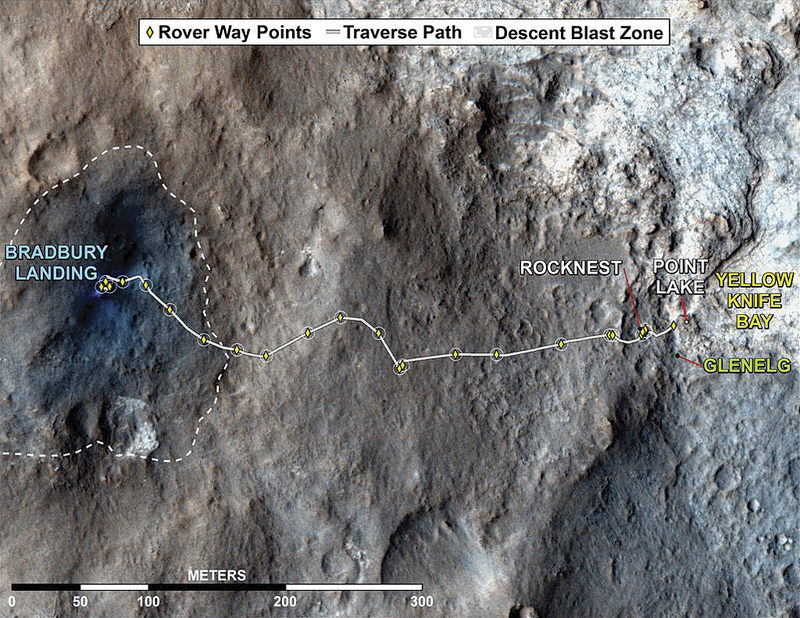 MSL is the latest in NASA's multimission project Mars Exploration Program (MEP). Each MEP mission informs and refines the plans made for subsequent expeditions. 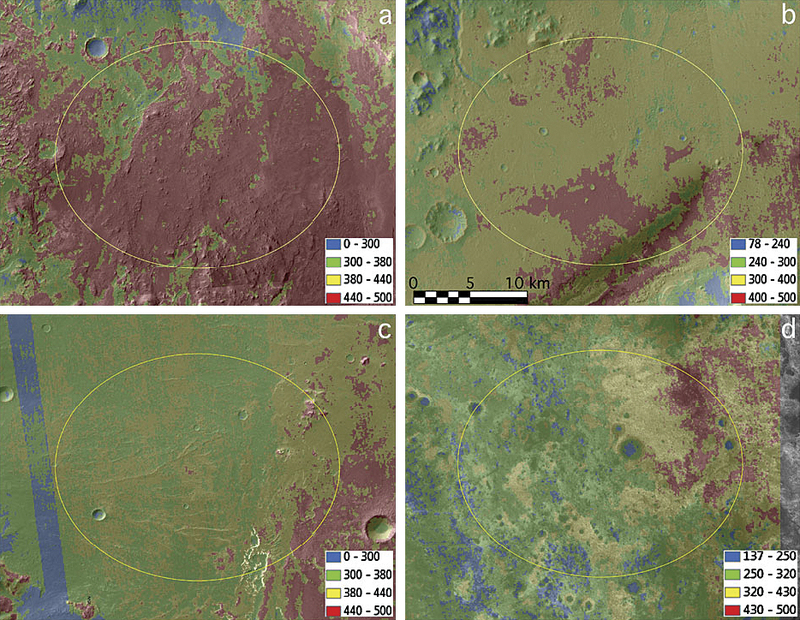 The most critical aspect of MEP is the collection of Martian survey imagery by remote-sensing orbiters that have been circling the planet for years. Launched in 1996 and arriving the following year, Mars Global Surveyor (MGS) provided scientists with critical elevation data on the topography of Mars collected with its Mars Orbiter Laser Altimeter (MOLA). In 2005, NASA launched Mars Reconnaissance Orbiter, which collected the highest-resolution images of the Red Planet's surface ever acquired. The High Resolution Image Science Experiment (HiRISE), its powerful camera, views the Martian surface in stunning detail. 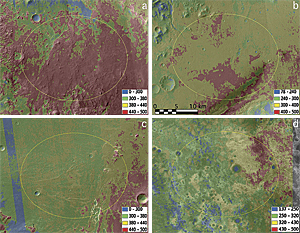 Imagery and data from HiRISE and MOLA and the European Space Agency's Mars Express orbiter vastly improved the landing site selection process over previous rover missions that relied on grainy coverage taken from 1970s orbiters and flybys. Two crucial factors have traditionally determined where NASA lands craft on Mars: the scientific richness of an area and the engineering constraints of landing a craft on the planet's hazardous and boulder-strewn terrain. The locations in the initial list of possible landing sites must also be able to sustain MSL long enough for the onboard instruments to complete their investigations. MSL's main mission objective is to provide a more thorough understanding of Mars chronology, geological dynamism, and life-harboring potential. 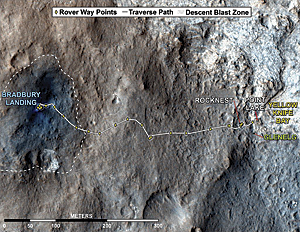 To do this, MSL requires a landing location that is geologically rich but that also contains relatively flat terrain so that the rover can land safely and navigate freely. 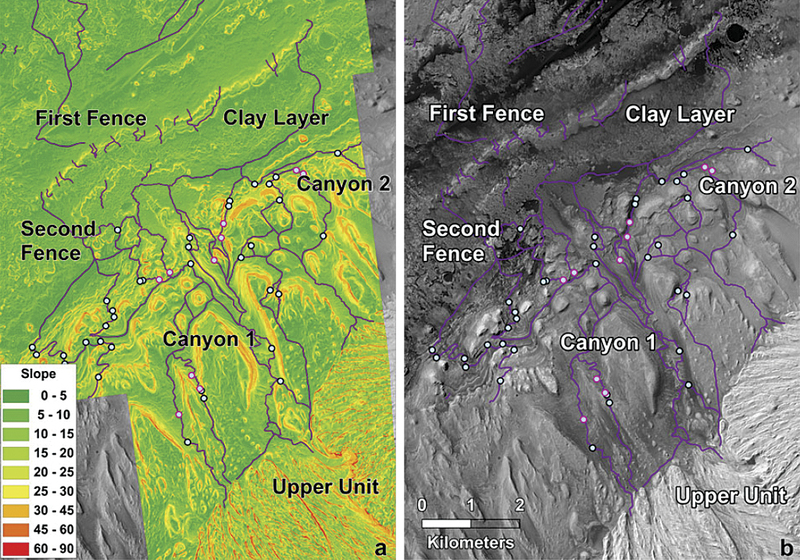 The MEP landing site selection team produced a list of 33 of the most feasible landing areas. 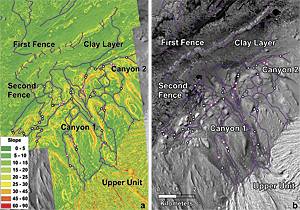 Each site contained a geological formation that had undergone obvious dramatic change and, thus, was more likely to yield information about the planet's history through the exposure of previously buried layers. From that list, four areas were chosen.